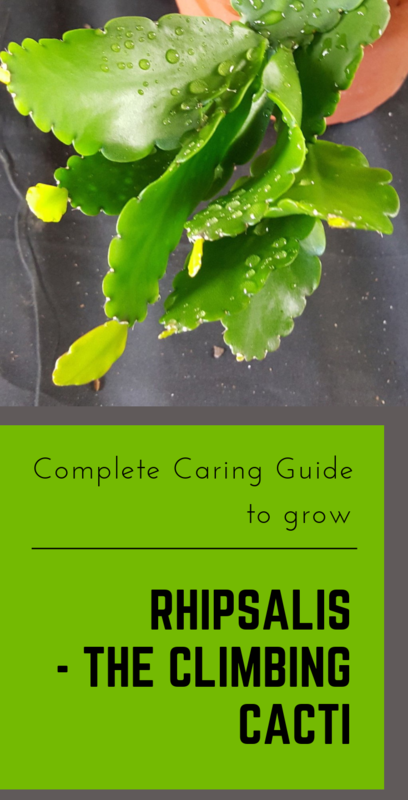 If you want to decorate your home with an easy-to-care, light-loving plant, which gives flowers and decorative fruits, Rhipsalis is the right choice. A species of cacti with soft and thin branches, Rhipsalis is ideal for your apartment! Rhipsalis Cactus develops best in well-lit spaces, with plenty of sunshine throughout the day. It’s however advisable not to be left in direct sunlight because their leaves may get burn. The plant also tolerates the winter sun, but in the cold season pots with Rhipsalis should be placed 50 centimeters by a window. During the warm season, the cactus can stay in the garden, in a place with light. When the outside temperature reaches 59 degrees Fahrenheit, the cactus must be moved indoors. Rhipsalis cactus soil must be well drained and rich in minerals. To allow drainage of the water, Rhipsalis is good at staying in pottery pots that retain moisture. In addition, the soil in pots must be mixed from time to time with clay, pearl and sawdust granules. In the warm season, the Rhipsalis cactus must be watered in moderation so that the soil to be always wet. In the cold season, it’s recommended not to water the plant. The watering will resume in the spring when the first buds will appear. The Rhipsalis cactus must be fertilized monthly, from April to September. Recently transplanted cacti shouldn’t be fertilized within the first eight weeks. Rhipsalis cactus is attacked by the common red spider and various diaspididae. Among all diseases, it’s more prone to rotting roots and gray rot.